Koratla (also known as Korutla) is one of the important historical and religious towns in Karimnagar district. It is about 72 KM away from the district headquarters. It is located at 18.82°N, 78.72°E with average elevation of 286 meters. The population of Koratla is around 1 lakh. Telugu, Hindi and Urdu are widely spoken languages. The name ‘Korutla’ has been originated from ‘KORAVATTU’, a sect of Jaina’s. As the days were passing, the name has been changed to KORAVATLU, KORATLU and finally changed to present name KORUTLA. The history of Korutla is revealed through Shilasasanam (Old Stone Inscription), which is believed to be written between 1042 and 1068 AD. The place has historical significance with the ruling of Jainas, Kalyani Chalukyas and Rashtrakutas. Korutla is famous for ‘Korutla Coats’, paper production and textile industry. The place is known for its temples: Sai Baba Temple, Durga Temple, Krishna Mandir, Ashta Lakshmi Temple, Ayyappa Temple, Ramalayam, Venkateshwara Temple, Nageshwara Temple and many more. The establishment of Govt. 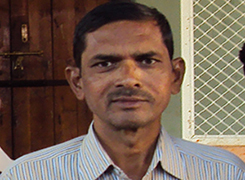 Degree College, Korutla is the result of intellectual awakening of the people. The college was established in 1981. Initially, it was started in the premises of Government Junior College, Korutla and then shifted to Allamaiah Gutta, from there to SRSP quarters near new bus stand. Finally, it was shifted to present own building in the year 2001 at Yesukonigutta which is about 3 KM away in out skirts of the Korutla town. The college has the campus of 25 acres. The college had initial strength of 60 students in 1980s with B.A. & B.Com groups each. Now the strength has been increased to 680 students with B.A (T/M&U/M), B.Com (General & Comp. Appl. ), B.Sc (BZC, MPC & MPCS) courses. The college has 11 Regular Lecturers, 1 Part-time Lecturer, 2 Contract Lecturer, 2 Guest Faculty and 1 JKC Mentor. The college has separate laboratories for Botany, Zoology, Physics and Chemistry. B.A course is offered in Urdu Medium also to fulfill the needs of the minority community. B.Sc (MPCs) and B.Com (Comp. Appl) courses are being offered under self financing system. We have the following supporting services which include Library, Mana TV, Physical Education, English Language Lab, National Service Scheme (NSS), Consumer Club, Women Empowerment Cell, Anti-Ragging Committee, Grievances & Redressal Committee, Special Training Programme (STP), e-class, Hostel facility for women(under construction), SDLCE study centre. All rights reserved - 2012.